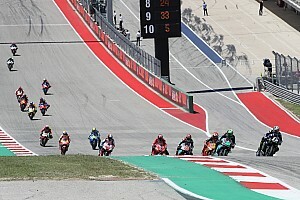 It was the riders’ first opportunity to refamiliarise themselves with the COTA track’s infamous bumps around its 20 turns, with the run between Turn 1 and 2 featuring a notable jump that destabilized the bikes considerably. 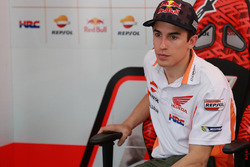 Honda rider Marquez – who has won every MotoGP race ever held here – was consistently the fastest rider as the track rubbered-in. He worked down to 2m06.252s in his first run. 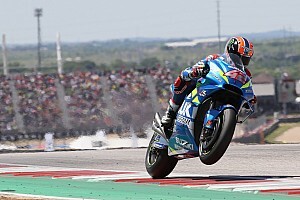 At the start of his second run, Yamaha man Vinales suffered a huge moment on the exit of Turn 18, just avoiding what would have been a 100mph high-side. He recovered quickly to set the fastest time of the session at that point, a 2m06.023s. 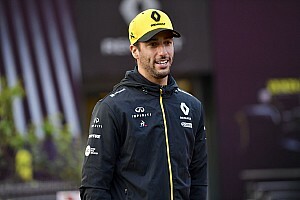 He shaved 0.002s off that on his next lap, despite having to pass a rival. Marquez then unleashed a 2m05.311s to top the times with 10 minutes remaining, with Vinales responding with 2m05.389s, just 0.078s slower. Jack Miller was third fastest on his Pramac Ducati, with a late lap of 2m05.936s just pipping the works Ducati of Andrea Dovizioso. 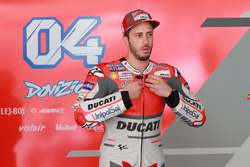 There was drama for Ducati at the halfway point of the session as Dovizioso stopped on track just after Turn 15 as his bike appeared to cut out while on an out-lap, and then coasted to a halt. The stranded Italian had to find a lift back to the pits before hopping on his second bike. Valentino Rossi was fifth on his Yamaha, 0.731s off the pace, ahead of an impressive Pol Espargaro on the factory KTM. 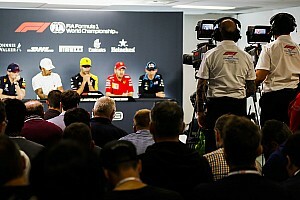 Fabio Quartararo (Petronas Yamaha), Cal Crutchlow (LCR Honda) and the Aprilias of Aleix Espargaro and Andrea Iannone rounded out the top 10. 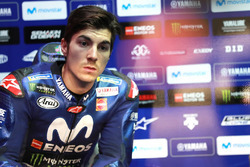 Suzuki had a low-key session, with Joan Mir its top runner in 14th ahead of Alex Rins. 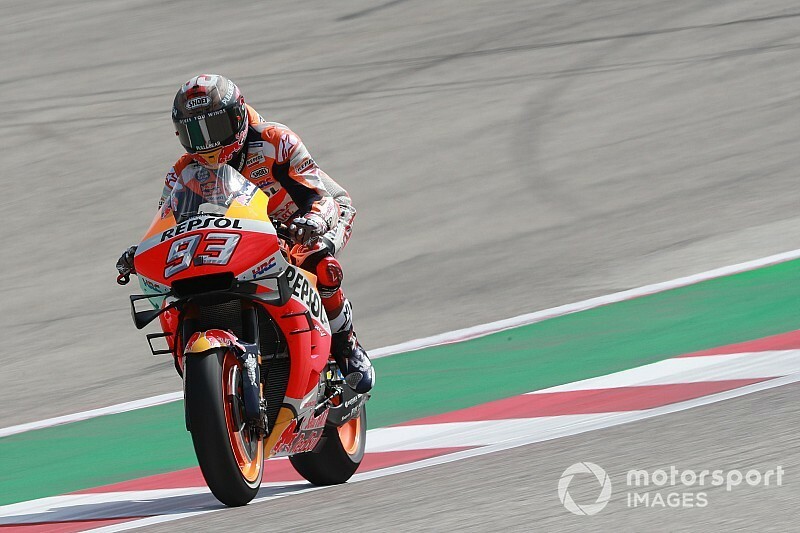 Jorge Lorenzo was down in 18th aboard the second works Honda, almost two seconds off the pace of Repsol Honda teammate Marquez.